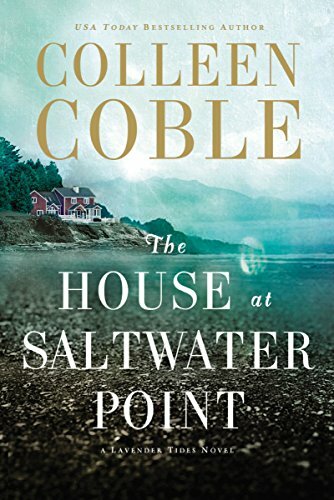 Once again Colleen Coble gives readers an excellent story of suspense, mystery, and a dash of romance. We are back in Lavender Tides but this time we have missing cocaine and a missing sister. Loved Grayson. Strong, smart, loyal but searching trying to determine who he really was. Ellie was okay. I did loved the fact she wasn’t a “girlie girl” and didn’t mind getting her hands dirty. Just not my favorite heroine. They did have good chemistry together and I did enjoy their story. The story was good. I didn’t feel like the author gave a lot of clues to help me solve who the “bad” guy was so I didn’t figure it out before the reveal. The action was good and moved quickly. A solid read. Disclaimer: I received a complimentary copy of this book from the publisher through NetGalley. Opinions expressed in this review are completely my own. Please note the link at the end of this post is part of the Amazon affiliate program, any funds earn help to offset the cost of this site. If you don’t see the ad, you may have an adblocker turned on. Thanks!